Lands Uncharted: Your Turn: How Do You Like Your Endings? Your Turn: How Do You Like Your Endings? 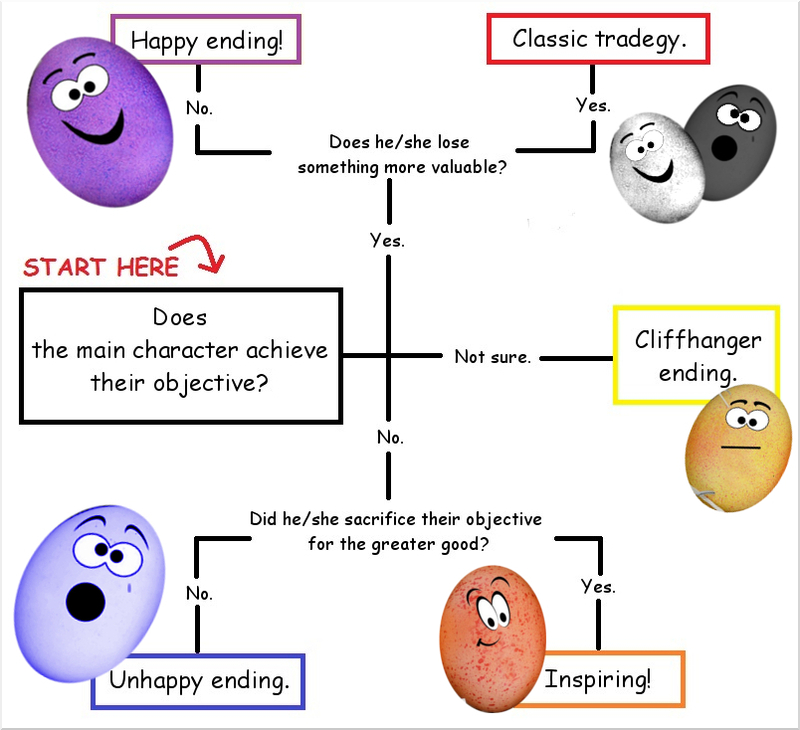 Recently, I've come across several articles and discussions on story endings. Topics ranging from the most common ending (happily ever after) to the effect a particular type of ending has on the reading experience. After all, the ending is the last emotional memory we, as readers, have of a book. So even if the story is fantastic, if we don't like the ending it downgrades the entire book. That puts a lot of weight on the last 5-10% of the story. 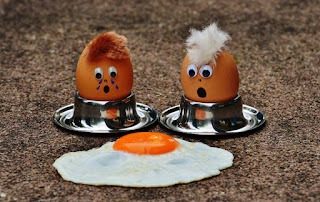 Everybody seems to love happy endings, so why even consider another type of ending with so much at stake? If all books had a happy ending, Romeo and Juliet, one of Shakespear's most famous tragedies, would be a romance story like any other and the powerful insight revealed at the end of The Fault in Our Stars would have been overshadowed by joy. Of course, there are also stories like Poe's The Black Cat where a happy ending by definition would mean the main character achieved their goal and thus killed their cat. The best ending truly depends upon the story itself. Which endings do you prefer? What reading experience do you look for in a book without a happily ever after? Labels: endings, KaLyn, Your Turn! I prefer happy endings. In fact, I always check the last line of a book before committing to read it (cringes). Yeah, I've said it before, I read to escape -- if I want sad endings, I'll watch the news! 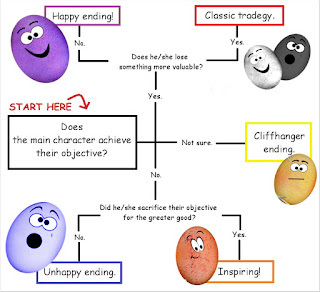 These graphics are the best :) I definitely prefer happy endings, though I agree that in some cases the story would lose a lot of its impact if the ending were happy instead of sad or thought-provoking. Even so, I'm pretty sure I'll always write happy endings!